Ibrahim was born and raised in Egypt. He completed his second Ph.D. in Islamic Studies in 2018 (Haifa University). Since 1991, he has taught in various countries in the Muslim world and in the West at the undergraduate and graduate levels. He has taught at Southwestern Baptist Theological Seminary and Fuller Theological Seminary in the United States, and at the Arab Baptist Theological Seminary in Beirut, Lebanon. Some of the courses he taught include: Introduction to Islam; History and Theology of Islam; Islamic Texts; Islamic Thought; Contemporary Islam; Christian-Muslim Apologetics; and Modern Standard Arabic. He is a member of the Center for the Study of Inter-Religious Encounters at Ben Gurion University of the Negev; the Society of Biblical Literature; the International Quranic Studies Association. His articles on Islam and Christian-Muslim Relations appeared in the Washington Post, Religion News Services, Colorado Springs Gazette, Louisville Courier-Journal, First Things, Faith Street, Charisma News, Evangelical Interfaith Dialogue Journal, Ethics Daily, among others. His academic book The Stated Motivations for the Early Islamic Expansion was published in 2017. He also co-edited Muslim Conversions to Christ: A Critique of Insider Movements in Islamic Contexts published in May 2018. He has been married since 2012 and together with his wife, they serve among Arabs in the United States and the Middle East. 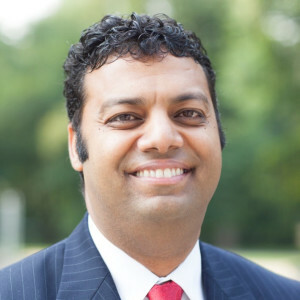 Contact him via his email: aibrahim@sbts.edu and follow him on Twitter at @al2ostaz.